As frogs around the world continue to disappear—many killed by a rapidly spreading disease called chytridiomycosis, which attacks the skin cells of amphibians—one critically endangered species has received an encouraging boost. Although the La Loma tree frog, Hyloscirtus colymba, is notoriously difficult to care for in captivity, the Panama Amphibian Rescue and Conservation Project is the first to successfully breed this species. The rescue project currently has 28 adult La Loma tree frogs and four tadpoles at the Summit Municipal Park outside of Panama City, Panama. In addition to the La Loma tree frog, the project also has successfully bred the endangered Limosa harlequin frog, Atelopus limosus. 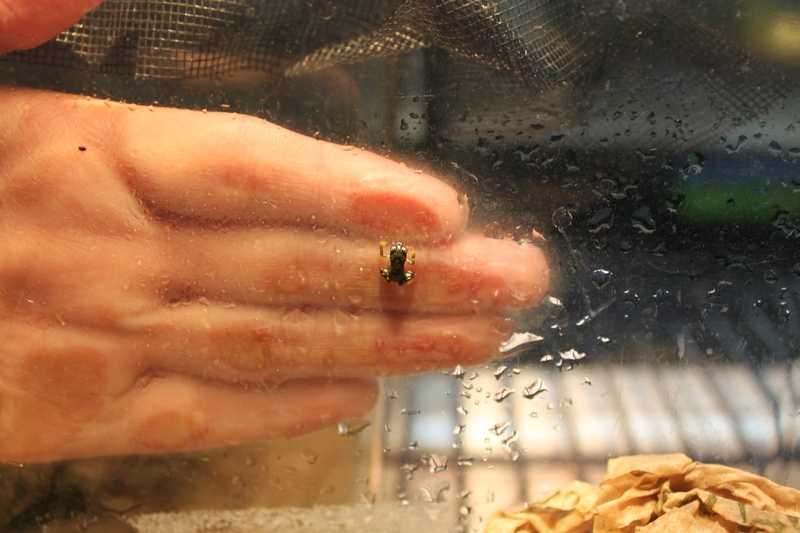 Keepers will continue to carefully monitor the tadpoles of both species. Nearly one-third of the world’s amphibian species are at risk of extinction. The rescue project aims to save more than 20 species of frogs in Panama, one of the world’s last strongholds for amphibian biodiversity. While the global amphibian crisis is the result of habitat loss, climate change and pollution, chytridiomycosis is likely at least partly responsible for the disappearances of 94 of the 120 frog species thought to have gone extinct since 1980. Of Panama’s six harlequin frog species, five are in collections at the Summit Zoological Park and the El Valle Amphibian Conservation Center in El Valle, Panama. One species, the Chiriqui harlequin frog, A. chiriquiensis, from western Panama, is likely extinct. The other species range from being extinct in the wild—the Panamanian golden frog, A. zeteki—to being endangered. 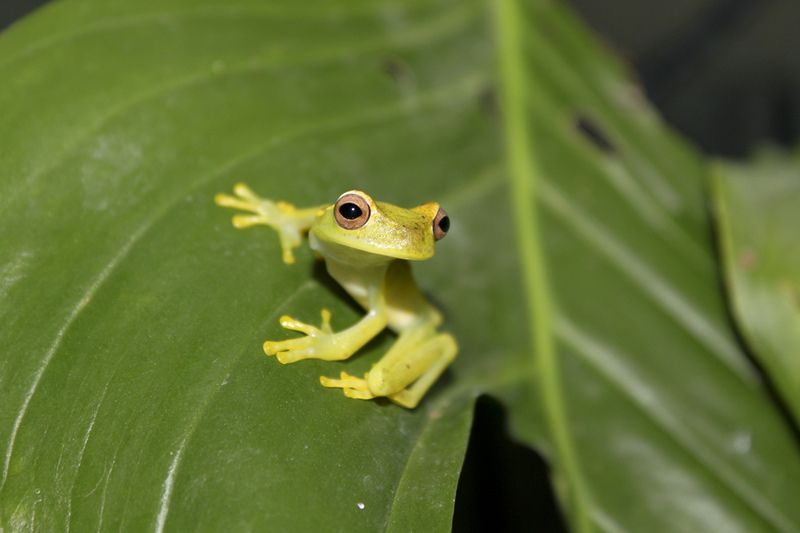 The mission of the Panama Amphibian Rescue and Conservation Project is to rescue amphibian species that are in extreme danger of extinction throughout Panama. The project’s efforts and expertise are focused on establishing assurance colonies and developing methodologies to reduce the impact of the amphibian chytrid fungus so that one day captive amphibians may be reintroduced to the wild. Project participants include Africam Safari, Panama’s Autoridad Nacional del Ambiente, Cheyenne Mountain Zoo, Defenders of Wildlife, El Valle Amphibian Conservation Center, Houston Zoo, Smithsonian’s National Zoological Park, Smithsonian Tropical Research Institute, Summit Municipal Park and Zoo New England. 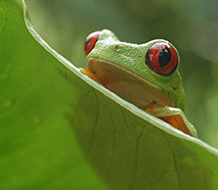 For more information, photos and a new video about this work, visit www.amphibianrescue.org.